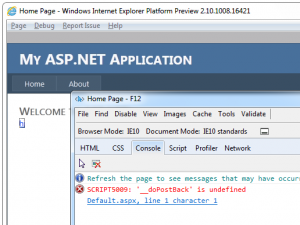 This error typically occurs with ASP.Net Application. There are two ways to fix this Internet Explorer 10 error, a system-wide fix and a specific fix. If you find any of the steps confusing, try simply running Windows Update and include all Internet Explorer updates. There is a chance that there will be an update to fix the issue.